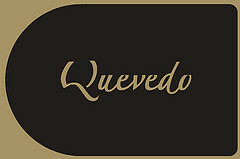 Quevedo is a family brand producing quality Port from vineyards they have owned for more than one hundred years. 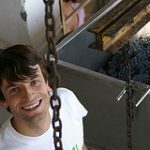 PALATE PRESS: The Online Wine Magazine asked Oscar Quevedo about their recent decisions to export their wines and to build their brand through social media. This is what he had to say. I belong to a small family of Port wine producers based in the Douro Valley for many years. As opposed to the many British families that controlled and aggressively sold Port wine in northern Europe, my family, Quevedo, focused on its natural market to promote its wines – Portugal. But now, this is changing and over 90% of our production is exported for many countries in three different continents. What has changed? A few things, the most relevant of which was the adoption of social media to promote our wines. Let’s go back to our roots. My ancestors have been making Port for over 100 years. At that time, we bottled our wine under the brand Quinta de Santo António, the etymology derived from the main property of my great grandfather. 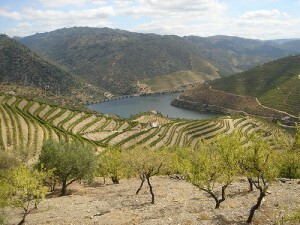 The large gap between the British and the Portuguese cultures kept Quinta de Santo António out of the limelight that the foreign Port wine producers enjoyed. Consequently, our focus veered from that of our neighbors. Instead of developing a marketing strategy, we developed methods for improving the quality of our vines. The advantage being that if we couldn’t sell our Port outside of Portugal, we could at least ensure that the big shippers would eventually come to us for our quality Port when they needed to feed their foreign markets. But during the 1960s, when my great grandfather Raul died, we experienced a dramatic setback, as we almost disappeared from the Port wine business completely. The properties owned by my great grandfather were divided among their five daughters and two sons; and consequently, the wine production was compromised. 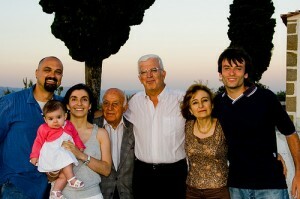 All of his children, but my grandmother, decided to sell to third parties, which forced my family’s winery to collapse. My grandmother, however, kept running her part of the vineyards and shared her passion with my father. My father had always dreamed about having his own winery since he was a kid. Step by step, he fulfilled his dream by purchasing some quintas and finally building the winery, and by 1990, he restored the family tradition of making wine with the brand Quevedo. My mum and dad, both with no background in winemaking, made our first harvest in the new winery in 1991; however, we still relied heavily on the big shippers to buy and sell our Port under their name. It wouldn’t be until the 21st century that we finally broke free to create our own brand. When my sister Cláudia, our winemaker, finished her enology degree in the late 90s, and after working for a short period with another Port producer, something changed. The fifth generation joined the family business, adding fresh blood and new ideas to the mix. The Douro was changing really fast, released from old traditions of Port wine production we tried to embrace the boat of technology revolution. But more important that the material stuff, there was a dream in the renewed family, and the dream was to sell our wine with our label to foreign markets. Though my sister and I were very young at the time, we shared that same dream. Our hope of conquering the exports market was justified by the fact that Port wine is the most well known Portuguese product and one of the most recognized wines in the world. We knew that we would never be a high end brand if we continued to rely on the domestic market alone to sell our wines. Moreover, we wouldn’t have to change anything in our production system, only the labels would have to be altered. This took longer than we first expected. Time was passing, and by 2005, very little had changed. Our Ports were still sold mainly in the domestic market, and we were ages away from selling our juice in the UK and US. By this time, we needed a different approach. With a scarce marketing budget, social media—or better said, conversing with potential consumers online—was becoming a very appealing option. After some research, we hired a social media consultant familiar with wine, and more importantly, the US and UK market. Without any idea of what social media was, or how to engage or converse with people online, we needed someone to guide us appropriately, providing us with actionable steps to get us to our goal. We created a blog and set up accounts on Twitter, Facebook, Flickr and YouTube to show the world how life in the remote and distant wine region of northern Portugal worked. We tried to connect with people, soliciting their feedback about our wines and inviting our followers to visit us and drink our wines from the barrels and feel the soil where our vines grow. Social media revealed a very useful complement to our strategy of attending wine fairs all around Europe. Actually, social media worked as a differentiation factor that—fortunately for us—no one else in the Port business was using at that time. Our new importers found a good complement in social media for helping them selling our wines. Some, like our American importer, P. R. Grisley, understood better than anyone the importance of social media. Going back to July 2008 when we first started blogging, I remember some very difficult weeks and months. Nobody was following or interacting with us, and we needed to search within for motivation and inspiration. To make matters worse, at the time, I was working in banking, first in Switzerland and later in Madrid, many kilometers away from my homeland. As I was so far away, it was difficult to keep focused on our end goal. But the passion for wine and for the Douro made me decide, in May 2009, that instead of staying in my lucrative and stable job, I would rather risk some of my revenues for a bigger cause. I wanted to help my family, and as I was the social media enthusiast, I felt compelled to continue within the same vein. I wanted to show the audience we were there to share our lives, the good and the bad moments of our days; to share everything as if readers were living our lives together with us. Eventually, the community started to include us and decided to give our wines a chance. This waterfall effect didn’t all happen at the same time. It happened over the course of several years, in part, as a result of social media’s stronger impact in some markets over others. 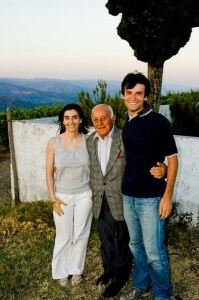 More emails were arriving from people wanting to know more about Portugal, the Douro, our wines and our family. I’ve also enjoyed spending a lot of my spare time meeting people in person that I only had met virtually. The benefits of social media, though still a niche media, allowed us to expand our horizons internationally. The downside—if there is one—is that it takes a considerable amount of time; however, it also has brought us many more clients. Now you may be saying, “Right Oscar, that’s all very cool, BUT what’s the ROI with social media?” Well, I can assure you that if we were not using it, we wouldn’t have our wines being distributed in UK, US, and Hong Kong. Some other European markets were also consolidated due to social media. Basically we were exporting under 20% of our production three years ago, and year to date 90% of our sales are exports. But what these figures don’t show you is that when you find a new importer or distributor because of social media, he is buying from you because of the network and the bonds you created with a group of people that may later buy our wine. The distributor has many doors opened by the producer, giving the producer more power in terms of negotiation with the distributor, which is something difficult to have nowadays in the wine business. In the long term, we do not want to grow much more than we have. We would rather stay a small family winery and focus on increasing the quality of our wines, brand awareness, and making special wines for a niche market. But no matter what our future holds, social media will always play the most important part of our marketing strategy! Oscar Quevedo was born in 1983 in the village of S. João da Pesqueira, Douro and studied in S. João da Pesqueira and Porto, where he got a degree in economics. Then he worked as a banker in Lisbon, Geneva and Madrid and in 2009 he decided do return to S. João da Pesqueira to join his family’s business. Such a nice post! It’s so inspiring. It shows that being passionate on what you are doing and being hardworking really pays off. Perseverance and Persistence are the key ingredients to success!!! involvement with social media really did a great role in business. thnx for the post! Great post! Glad to see that wineries are starting to see benefits from Social Media! Great example of how an European wine can succeed internationally with social media. This is what I am doing everyday for French wineries. Oscar, who was your social media consultant? Thank you for your nice comments. I’m glad to know that you liked our story. We still have a LOT of work to do, but social media is really helping us! Mary, don’t blame me for that, I can share some of our vines for your to make wine out of the grapes they produce. You just need to come over!! Wine and relationships – what can be better! Thank you for this inspiring story.